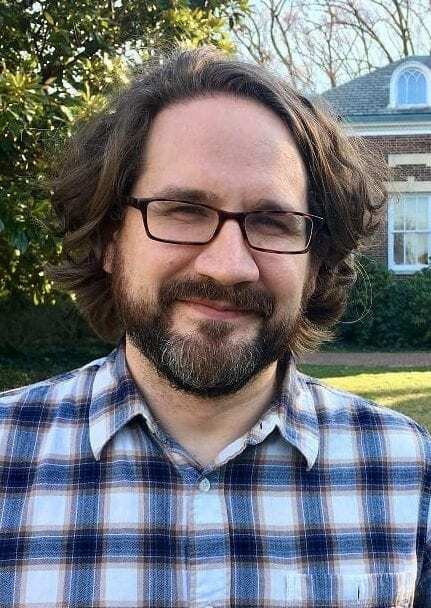 Jared Hickman works on the phenomenological history of the global space opened up by early modern European expansion into the Americas and beyond. 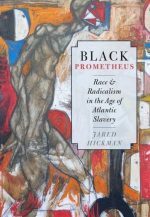 He is the author of Black Prometheus: Race and Radicalism in the Age of Atlantic Slavery (Oxford University Press, 2016), a study that charts the modern revival and reinvention of the ancient titan across genres (from slave narrative to high Romantic poetry to Marx's dissertation) and geographies (U.S., Cuba, Brazil, Britain, the Caucasus, and more) and in so doing attempts to map the racialized cosmos of global modernity. 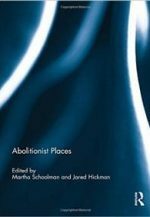 He is also the co-editor of two essay collections (with Martha Schoolman) Abolitionist Places (Routledge, 2013) and (with Elizabeth Fenton) Americanist Approaches to The Book of Mormon (Oxford University Press, forthcoming) and has published articles in American Literature, Early American Literature, Nineteenth-Century Literature, PMLA, and other venues. He is currently at work on a book tentatively entitled The Romance: An Indigenous History, which considers the romance not so much as an especially durable and malleable literary genre or mode but rather a ritual complex related to settler colonialism—from Anglo-Saxons and Normans in Britain and Ireland in the twelfth century to their descendants in North America and the Pacific in the nineteenth. “600 B.C.E.-1830 C.E.,” in Timelines of American Literature, ed. Christopher Hager and Cody Marrs (Johns Hopkins University Press, 2018). “Political Theology,” in The Routledge Companion to Literature and Religion, ed. Mark Knight (Routledge, 2016). “After the ‘Post-Secular,’” Introduction to a special issue co-edited with Peter Coviello, American Literature 86:4 (December 2014): 645-54. “The Book of Mormon as Amerindian Apocalypse,” American Literature 86:3 (September 2014): 429-61. “The Recanonization of Saint Cyprian: A Deep History of Black Religion and Racialism,” in Sainthood and Race: Marked Flesh, Holy Flesh, ed. Vincent Lloyd and Molly Harbour Bassett (Routledge, 2014), 66-81. “‘Douglass Unbound,” Nineteenth-Century Literature 68:3 (December 2013): 323-62. “Cosmic American Studies,” PMLA 128:4 (2013): 968-75. “On the Redundancy of ‘Transnational American Studies,’” in The Oxford Handbook of Nineteenth-Century American Literature, ed. Russ Castronovo (Oxford University Press, 2012), 267-88. “Globalization and the Gods, or the Political Theology of ‘Race,’” Early American Literature 45:1 (March 2010): 145-82. “The Theology of Democracy,” The New England Quarterly 81:2 (June 2008): 177-217.